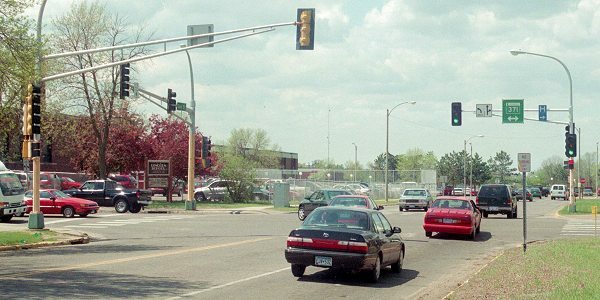 MN 322 once held the title of shortest state trunk highway in Minnesota. At only 2 blocks long, it was a connector between MN 371 and MN 18 in Brainerd. Authorized in 1959, it was decommissioned, along with the Brainerd portion of MN 18, in 2001 after the MN 371 Brainerd Bypass opened in late 2000. What was MN 371 along 6th St in Brainerd became BUSINESS MN 371 at that time as well. 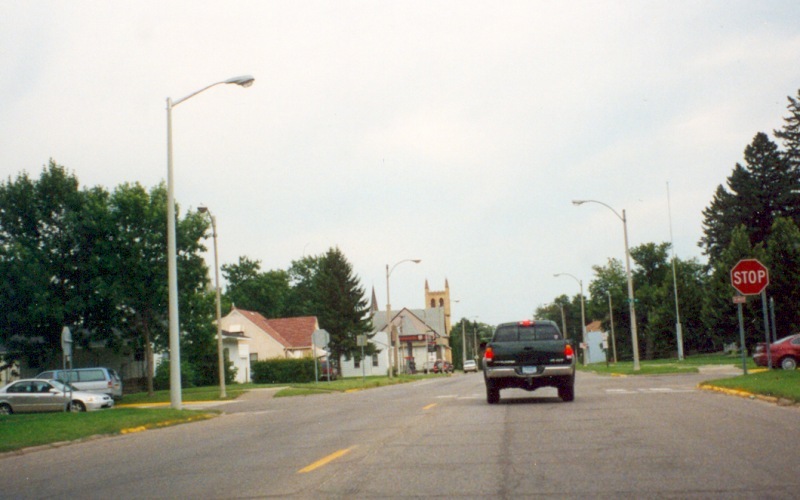 Looking west at the Oak St/6th St intersection in Brainerd. MN 371 formerly ran along 6th St, since replaced by BUSINESS MN 371. MN 322 was signed as "TO MN 18" from here, but also contained a couple of MN 322 reassurance shields. Photo by Monte Castleman, taken in 2003. This view is from southbound 6th St (BUS MN 371), where MN 322 began to the left. Photo by Adam Froehlig, taken August 8, 2002. Looking west at Oak St/8th St intersection. 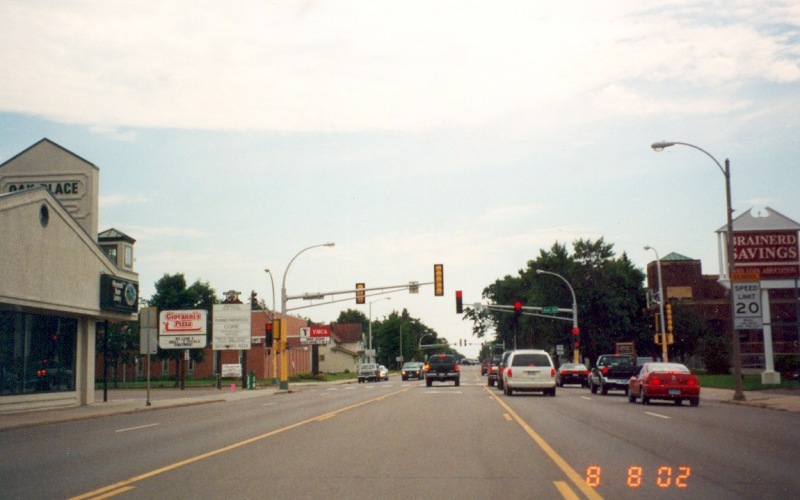 MN 18 formerly ran along Oak St from the east, then turned right here onto 8th St and up to MN 210. 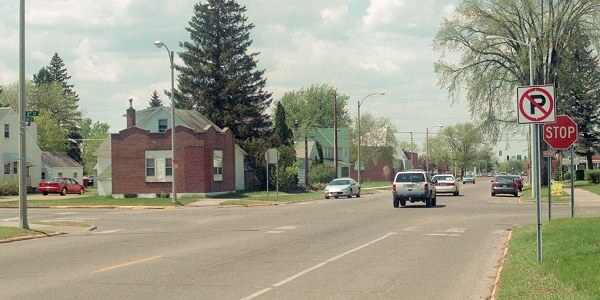 MN 322 continued along Oak St for 2 blocks to its intersection with then-MN 371 (seen in the background here and the above photo). Photo by Monte Castleman, taken in 2003. Looking in the opposite direction (east). Photo by Adam Froehlig, taken August 8, 2002.